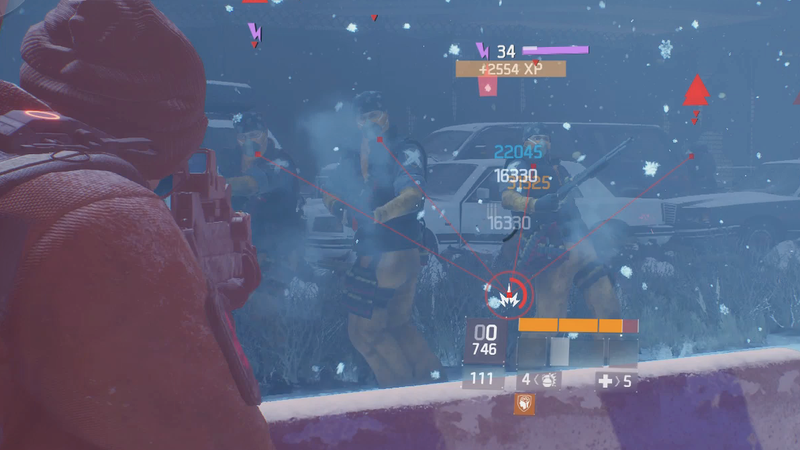 The Division’s latest global event changes the rules yet again for Ubisoft’s shooter. Yes, this is a bit busy, and yes the enemies all look the same, but what’s happening here is cool. A defeated enemy has dropped a live grenade which is about to hurt all his nearby buddies. The red lines show who is in range. The Division’s latest global event changes the rules yet again for Ubisoft’s shooter. In Strike, which runs for five more days, a downed enemy drops an exploding grenade that hurts nearby enemies. A more advanced Strike setting applies similar detonation chain reactions to players who take lots of damage. A fun tweak!